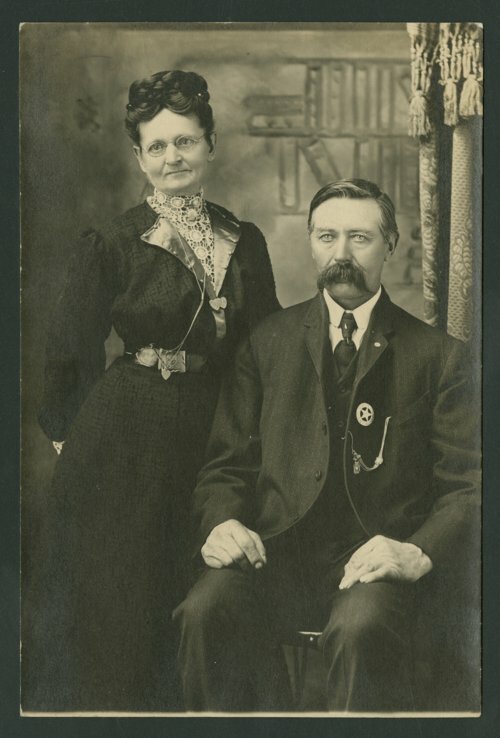 This is a photograph of Fredrick Peter Beck and Margretha Hansen Beck. The photograph was possibly taken in Glasco, Kansas. Fredrick Beck is wearing a marshal's badge.